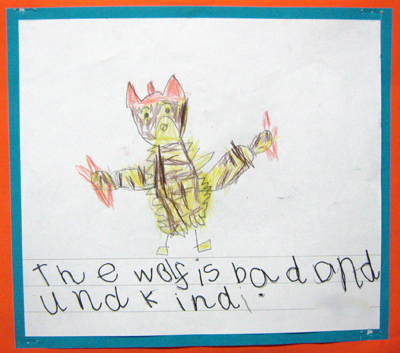 Red Riding Hood: The wolf is bad and unkind. This entry was posted on Wednesday, May 1st, 2013 at 7:15 am and is filed under Uncategorized. Tagged: bad, Big Bad Wolf, book, character, evil, Fairy tale, Little Red Riding Hood, personality, red riding hood, story, unkind, villain, wolf. You can feed this entry. You can leave a response, or trackback from your own site.